HP Inc. India today announced its partnership with Royal Challengers Bangalore (RCB) for the upcoming T20 season. In an effort to better engage with millennials, HP will be the principal sponsor of the highly popular cricket team, led by youth icon and cricketing legend, Virat Kohli. 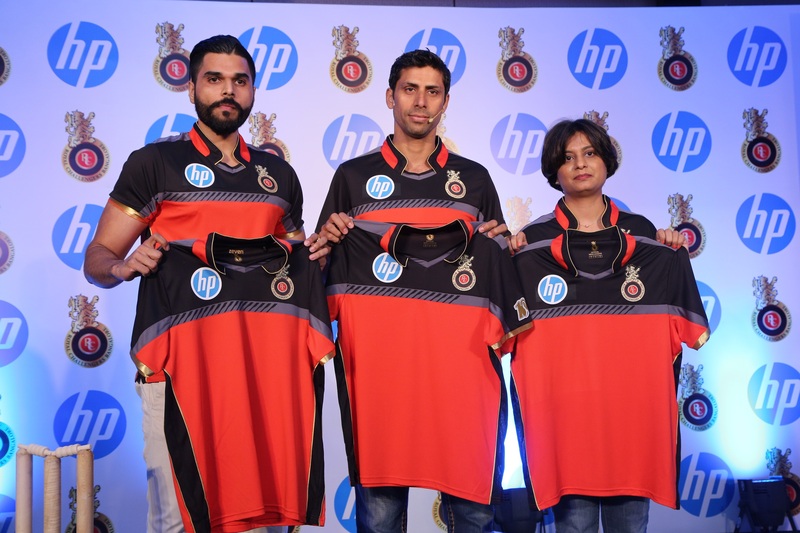 Through the partnership, HP will occupy the commercial space on the front of the RCB playing jersey. With this partnership, HP aims to connect with millions of consumers across India as the leading technology provider. As part of the collaboration, HP will have visibility across retail outlets, on-ground activations, team jersey and will feature in promotions & activations led by RCB team and management. Further, RCB players will be visible in HP led promotions/ activations. To further amplify the association, HP is also introducing special promotional offers for PC and Print consumers. HP will also enable opportunities for tech-savvy cricket fans to meet RCB’s star performers including Virat Kohli, Brendan McCullum and AB de Villiers. Addtionally, RCB players will also be seen endorsing HP products in a TV commercial. “HP is proud to be partnering with Royal Challengers Bangalore (RCB) and this association will help us connect with consumers across segments, age groups and geographies in India” said Sumeer Chandra, Managing Director, HP Inc. India. “I wish Virat Kohli and the RCB team a very successful T20 season and expect this association to provide further impetus to technology adoption in the country” he added. HP Inc. has been a frontrunner in introducing technology that makes life better for everyone, everywhere. With their host of innovative solutions, HP has become one of the most preferred technology brands for consumers worldwide. NEXT POST Next post: Early risk detection of breast cancer!